For the sixth or seventh year in a row the main trend at the Geneva Motor Show seems to be crossovers. There is a whole bunch of new ones coming to this year’s show, and this here is one of the more interesting ones. The Skoda Vision X concept is a preview of a future production model and showcase of the company’s latest technologies. Featuring sharp lines, slim and sculpted features, and a decidedly Eastern European face, the Skoda Vision X is an urban crossover designed to be equally at home on city streets and nearby hills. You can’t expect it to do real offroading, but it can take care of a weekend picnic in the woods no problem. Skoda have a habit of making their production cars pretty similar to the concept model, so we’re looking forward to seeing the real-world version of this one. 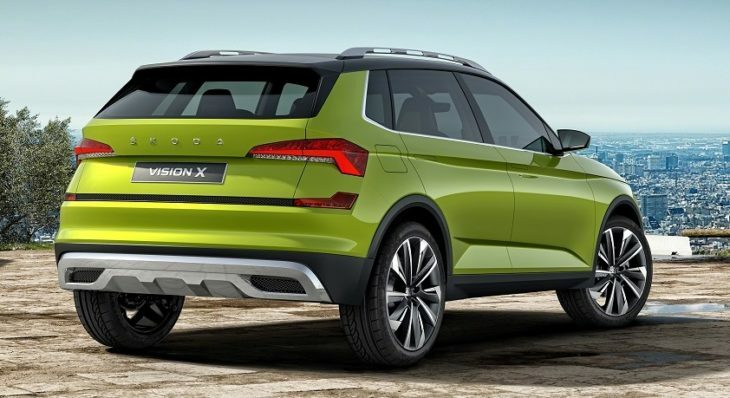 Besides interesting looks, Skoda Vision X also benefits from a clever powertrain. 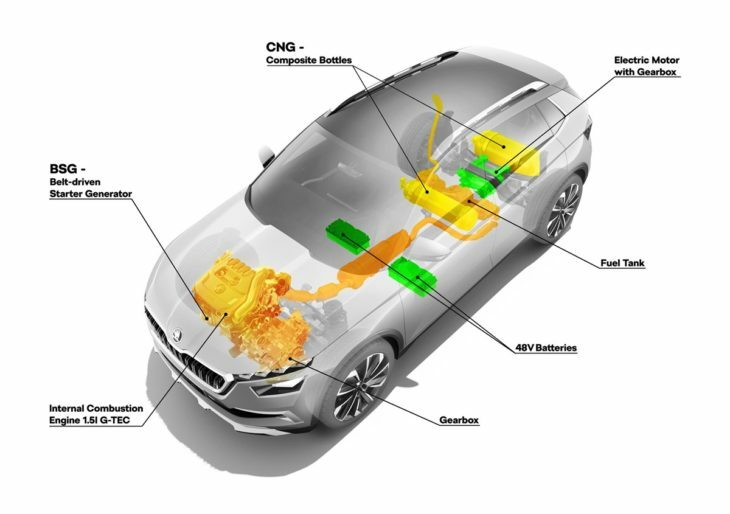 It consists of a 1.5-litre G-TEC combustion engine with four cylinders and turbocharger has been specially developed for use with CNG (compressed natural gas) and an electric motor. So it’s a CNG-electric. The combustion engines drives the front wheels with 130 PS and 200 Nm of torque, while the real axle is energized by the electric motor with 70 Nm of torque. This makes the Vision X an all-wheel-drive car with no propshaft. This is part of the reason how it manages to have CO2 emissions under 100 g/km. The post Geneva 2018: Skoda Vision X Is a Sign of Things to Come appeared first on Motorward.